Sick and tired of Syria sheltering its arch-enemy the Kurdistan Workers Party, more commonly known by its acronym PKK, in 1998 Turkey threatened to invade. In the end, diplomacy prevented a potentially bloody war. “We are trying to be patient, but that has a limit,” Gen. Huseyin Kivikoglu said. Turkey massed 10,000 troops on the border and its military, then a major force in Turkish politics, spoke of imposing “economic, political and military sanctions” on Damascus. Syria claimed that Turkey was mobilizing as a result of its close military ties with Israel, pointing out that the threats came shortly after Turkey’s prime minister Mesut Yilmaz visited the Jewish state. Israel staunchly denied that it had any role in the stand-off. “We have taken steps to reassure Syria,” Israeli prime minister Benjamin Netanyahu claimed. Ankara’s threats came shortly after it briefly sent 10,000 troops into Iraqi Kurdistan to fight the PKK. The previous year, Turkey had launched an even larger cross-border incursion with 30,000 troops. Turkey’s threats against Syria, which at the time hosted PKK leader Abdulla Ocalan, similarly aimed at denying the PKK sanctuary beyond Turkey’s own frontiers. Turkish warplanes reportedly buzzed the Syrian border in a show of force. Turkish officials also hinted that Ankara might also attack the PKK training camps in the Beqaa Valley in then Syrian-occupied Lebanon. Aside from kicking out the PKK, Turkey demanded Syria relinquish its claims over the province of Hatay in southern Turkey. Ankara annexed the province in 1939, seven years before Syria won its independence from France. Syria condemned Turkey’s building of dams on the Euphrates River, which reduced the water flow to that dry country. Ankara said that it would not negotiate any water-sharing agreement while Syria continued hosting the PKK. As was the case with Iran’s build-up on the Afghan border, some analysts predicted that Turkish military action against Syria would spark a wider regional war. Turkish columnist Cengiz Candar warned in the Sabah newspaper that Turkish military action against Syria would antagonize the rest of the Arab world, given Turkey’s ties with Israel and the perception that non-Arab Turkey was weakening Syria for Israel’s benefit. “All Arab countries will mobilize along with Syra,” Candar wrote. Turkey denied that the issue had anything to do with its broader relations with the Arab states. Libyan leader Muammar Gaddafi aligned his country with Syria in the dispute and declared that “any aggression against Syria will be considered as an aggression against Libya according to the Arab joint defense pact” among the member states of the Arab League. Gaddafi had antagonized Turkey two years earlier. Turkish prime minister Necmettin Erbakan, the first Turkish leader from an Islamic political party, sought the creation of “an Islamic NATO and an Islamic version of the European Union,” as well as a new currency. 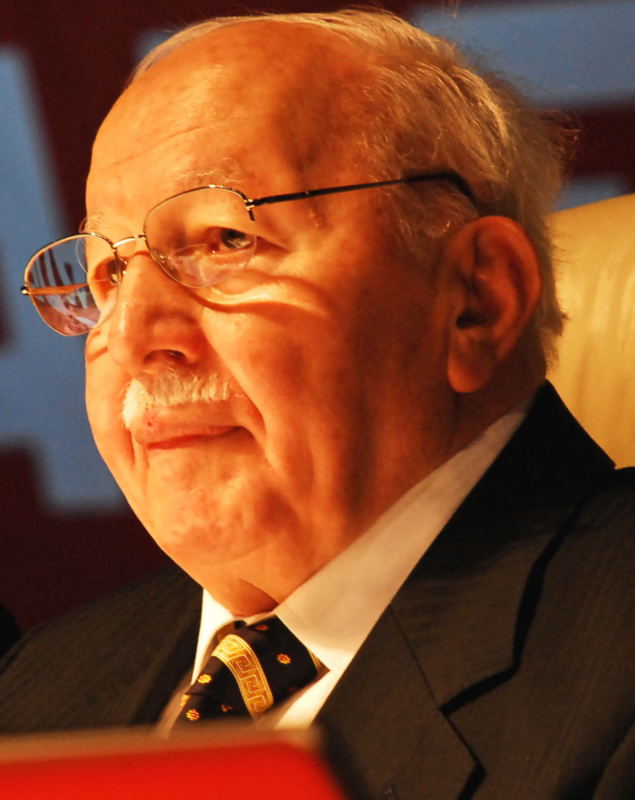 When Erbakan visited Gaddafi to promote the idea, Gaddafi launched a bitter tirade against Turkey. The Libyan leader lambasted Erbakan’s Turkey for its relations with Israel and NATO and its repression of Kurds, even going so far as calling for an independent Kurdish state. On Oct. 8, 1998, Iran, then locked in its own stand-off with the Taliban, also offered its services as a mediator, echoing Mubarak’s contention that the problems between the two countries were solvable without violence. The Turkish build-up proved minuscule compared to Iran’s enormous deployment on the Afghanistan border. Ultimately the stand-off lasted less than a month and diplomacy won the day. On Oct. 20, 1998, the two countries signed the new Adana Accord, which compelled Syria to deny the PKK a base on its soil. In adherence to the accord, Damascus deported Ocalan. Turkey captured him in Kenya in February of the following year and he has been in prison ever since.